During one of our working lunches at a local pizza joint, my partner Steve and I ran into our good friend Ken McDonald. Ken is the producer of “Histoires de Sentiers” a French Canadian off-road television show that airs on RDS (RDS is the French Canadian equivalent to TSN). During some casual conversation, the idea of a joint venture on a build project was put on the table. This venture immediately sparked our interests, as we figured that with our combined media outlets (Television, Web and Print) we could give this project some good exposure. Now we were faced with “the question”: what kind of build project should we undertake? Do we go with a “go-fast” race build? Or maybe a mud machine would be interesting? What about the ultimate crawler? The more we debated, the more uncertainties set in. After weeks of reflection and discussions, we decided to tackle a trail specific build. Now all that remained was to define our project scope: “what do we exactly want to accomplish with this build”? 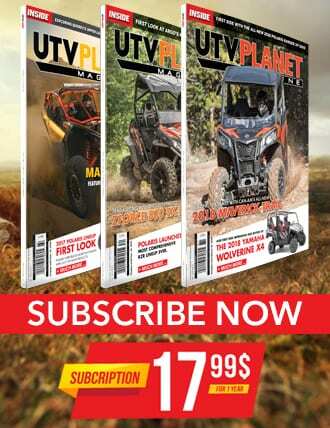 Target audience: the consumer who utilizes his/her UTV primarily for trail riding. We wanted to present this audience a unique build using after-market parts and accessories beyond those offered by the OEMs. In other words be unique, be different and define your ride! Now came the hard part: which UTV should we use in our build project? With so many great units on the market today, we decided to focus our attention on units that are being sold/marketed towards the trail rider. We wanted a unit that had enough horsepower and torque to concur anything we threw at it, great factory suspension and a trail friendly width. 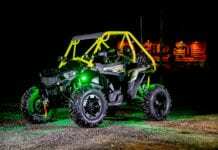 One unit stood out above the rest for our particular requirements, the Maverick X xc from Can-Am. 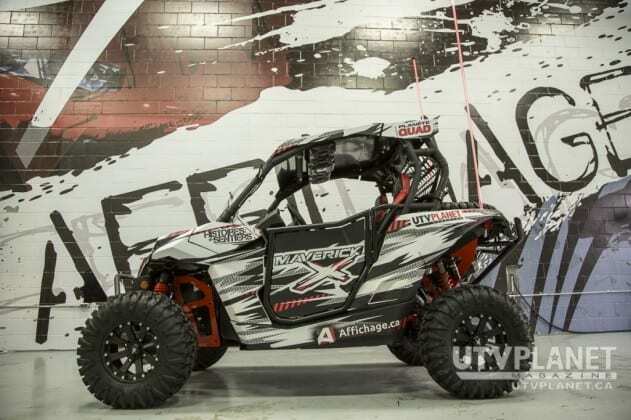 The Maverick X xc grabbed our attention last year when we had a chance to ride it at the 2014 product launch, so we were very eager to work with this unit. We immediately contacted CAN-AM and they graciously loaned us a unit for our build project. 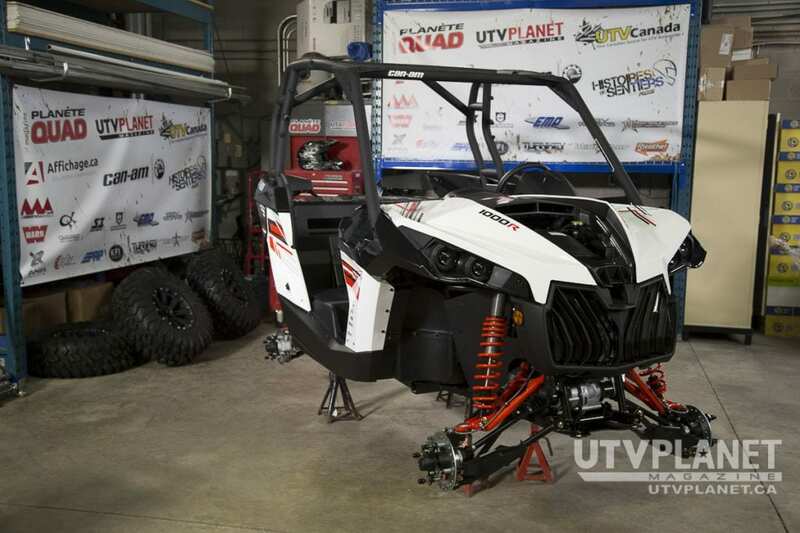 With a company slogan of “Define Your Ride”, it was evident that we needed to turn to our partner UTV Canada for help with this build. 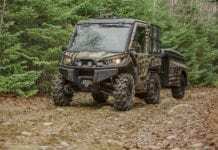 We already had a good idea in the direction we wanted to take with this project, however we also needed the experience and network of UTV Canada to get there. 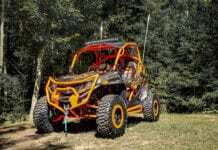 Andy Ogg from UTV Canada jumped on this build to turn it from mild to wild! 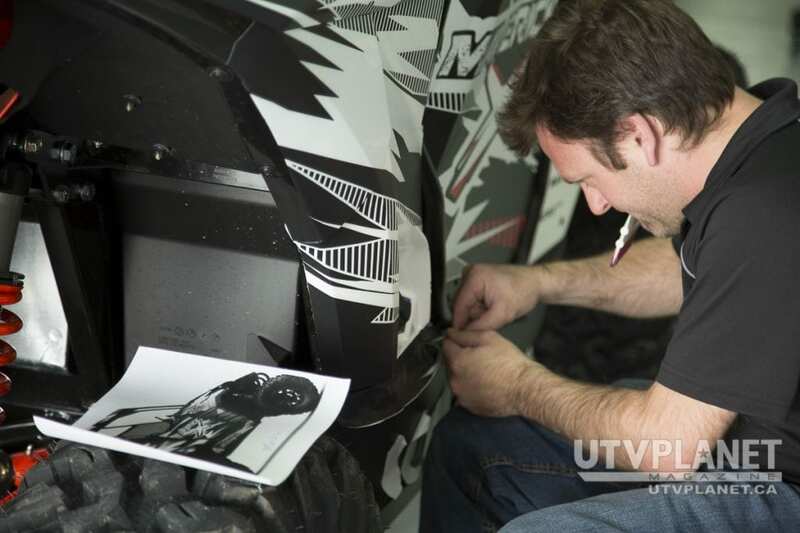 If the name sounds familiar to you there is a good reason: prior to joining the UTV Canada team, Andy built a reputation for himself working at Pro Armor for many years. During his career Andy has worked on many build projects and his experience proved vital for this venture. We gave Andy the scope of the build and it was put into motion! 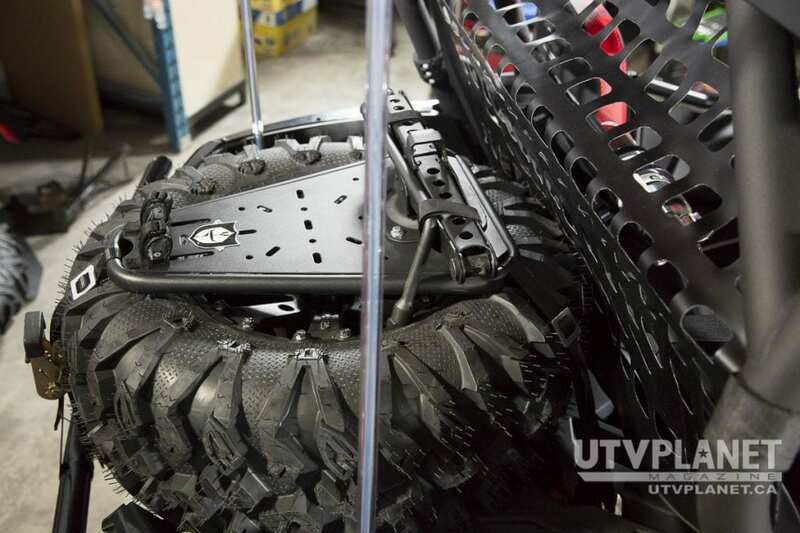 Several weeks were spent lining up the necessary parts and accessories for this Maverick build and nearly all of the manufacturers carried by UTV Canada stepped up for this awesome opportunity. 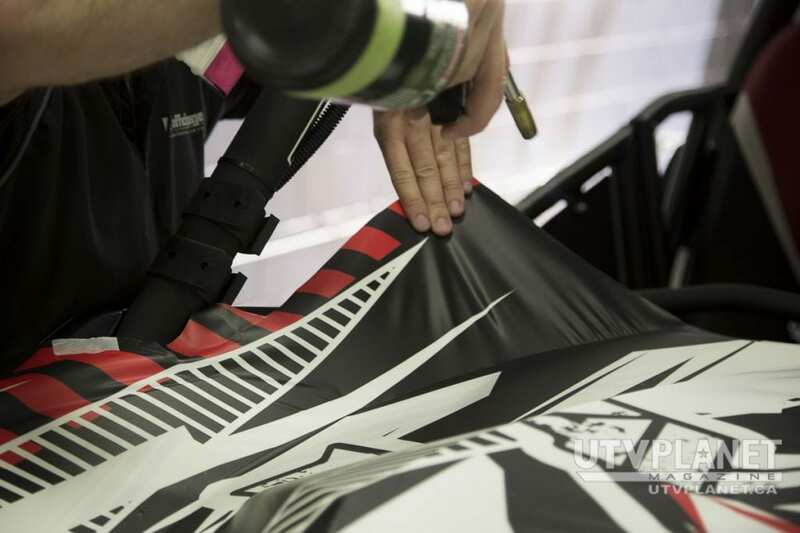 With the UTV and parts selection completed, only one aspect remained to make this ride totally unique; a custom wrap. For this we contacted a company, which has already provided us with excellent service: affichage.ca. 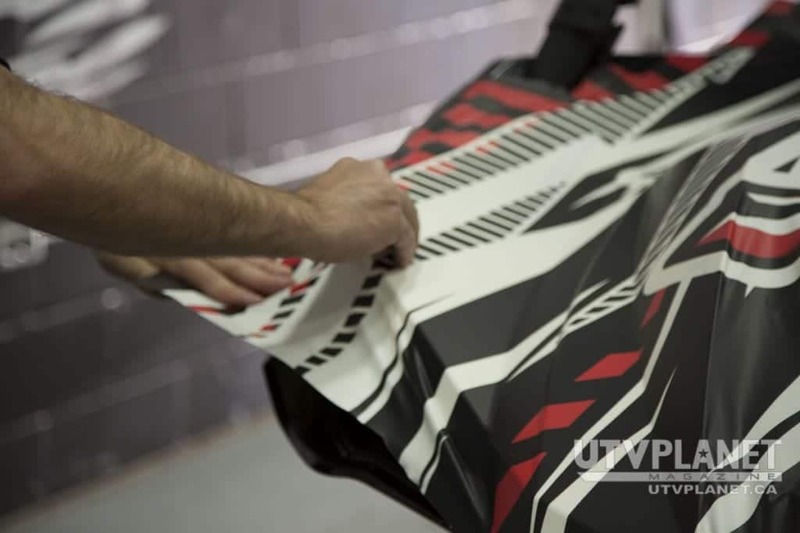 We gave Jonathan Gagné (co-owner of affichage.ca) the color scheme that we wanted to see on the unit and his design team immediately started working on a concept for us. This phase of the project was quite simple in fact, and only required the removal of the stock seats, tires and rims, front bumper and side safety nettings. Some factory plastics and cockpit paneling also needed to be temporarily removed to facilitate the passing of wiring for certain electrical components. With all the pieces of the puzzle carefully laid out, we could now begin to transform our Maverick from “mild to wild” with this unique trail build that we proudly nicknamed “The Predator”. We started the build from the ground up and no changes were done to the suspension or shocks. However we did install a 3” bracket lift from S3 POWER SPORTS. 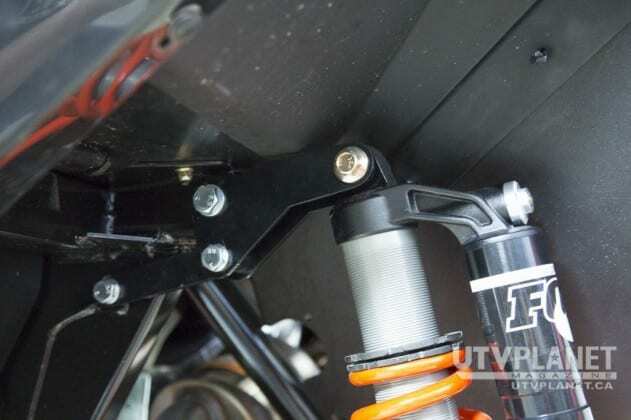 The bracket lift is a direct bolt-on lift which installs to the factory mount points on the Maverick. The lift kit achieves a minimum of 3″ of additionnal ground clearance providing that extra height which is sometimes needed on extremely harsh trails. Next we moved to protecting some of the underbody components. We installed front/rear A-Arm guards from TURNKEY UTV and also installed floorboard rock sliders and skid plates from RICOCHET OFFROAD ARMOR. This extra protection was a welcomed addition especially for some of the rocky trails we were planning to tackle with this unit. The only performance modification we made to the unit was to alter the vehicles airflow and air intake. To achieve this we installed two-performance products from TURNKEY UTV. 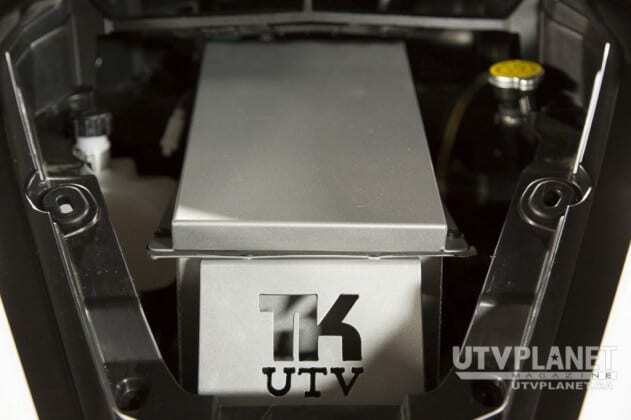 First we replaced the factory plastic covers by Turnkey’s “Under Hood Panels”. These new under hood panels help decrease engine temperatures by increasing air flow into the engine compartment and they also look great! Next we replaced the stock factory air intake system with Turnkey’s “Race Air Intake System”. 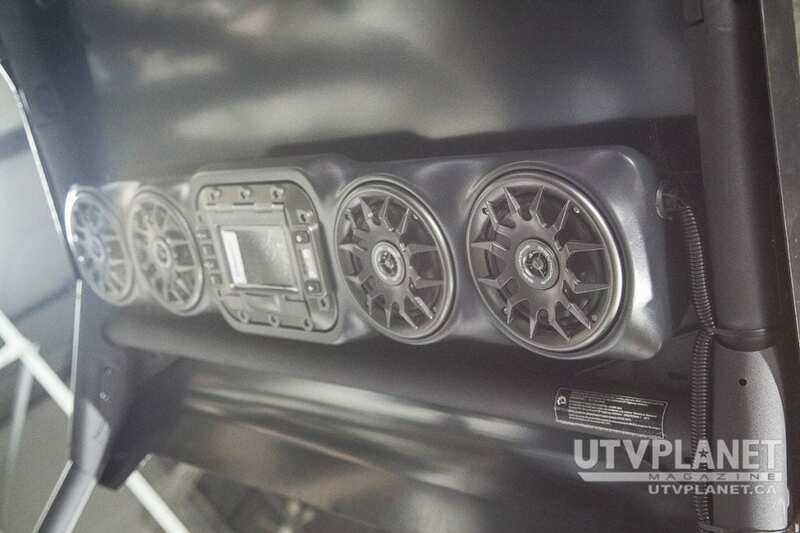 This new air intake system has been engineered and tested to provide maximum airflow to the motor and its innovative design draws air from within the Maverick cab assuring only clean dry air is entering the intake. The front/rear bumpers and winch were next on the list. For the front bumper we installed a rugged bumper by WARN INDUSTRIES. One of the nice features of this bumper is the integrated winch mounting plate. The winch mounting plate enabled us to easily top mount the WARN ProVantage 4500-S winch. The 4500-S ProVantage winch has many great features and a massive 4,500 lb. 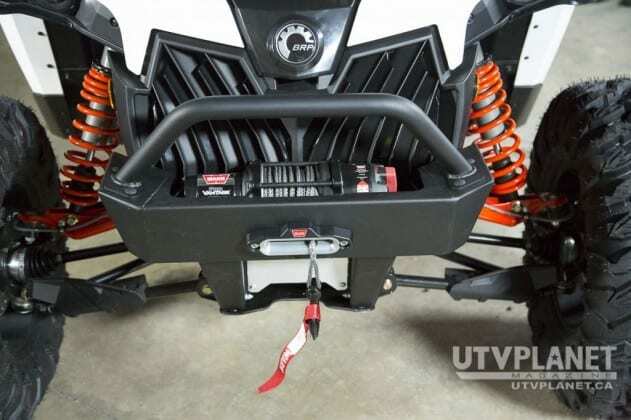 capacity with more than enough power to pull your UTV or a heavy load with ease. For the rear we installed a bumper from PRO ARMOR. The rear bumper not only gave the back of the unit the aggressive styling we were going for but also protected the rear-end and other components on the vehicle. A winch is an add-on that no trail rider should be without. However, sometimes you want to give a fellow rider a quick tow out of a bid. For this we installed KFI Tiger Tail tow system. Its retractable design allows for a quick, easy and clean use for towing or as an anchor-line during poor underfoot winch operations! This unit mounts in the rear of the unit with the Tiger Tail 2” receiver. As we are all smart trail riders, we carry spare tires, right? We were looking for something that obviously could mount a spare tire but could also hold other essential gear. We found our solution with the PRO ARMOR QuickShot Universal Spare Tire and Accessory Mount. QuickShot’s revolutionary mounting plate allows you to mount hundreds of essential products in various ways. The included jack mounts right to your QuickShot base, making changing a tire or repairs hassle free. In my opinion, nothing beats cursing your favorite trail while listening to your favorite tunes! This ride needed tunes and for this we needed SSV WORKS. We installed the WP-UO4S (overhead 4 speaker soundbar); the WP-UO4S provides Hi-Def stereo sound and mounts overhead to your stock cage. The system features a charging dock for iPod and iPhone, with built-in 50-watt x4 ultra-efficient low power consumption digital amp designed around a UTV’s charging system, waterproof speakers, includes FM tuner for local radio reception with internal FM antenna. 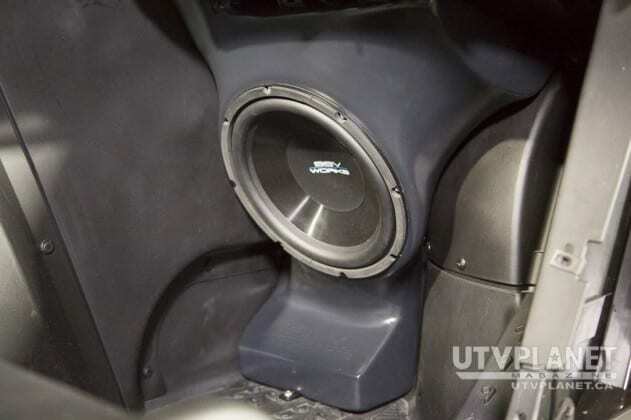 We weren’t done yet, we also installed the under dash SUB BOX with 500 watt 10” woofer. The sub box bolts into the under dash area utilizing the dead space behind the glove box; it is 100% fiberglass construction for the best sound quality and bass response. We wanted tunes, I can tell you that now we had some serious tunes! Safety while riding on the trails should be of upmost importance to every trail rider, so the following accessories were a must for our build. 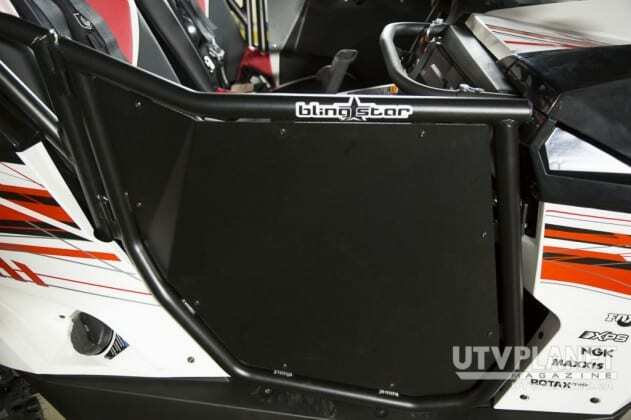 We first installed the TURNKEY UTV harness bar, which allowed us to install PRO ARMOR 2” 4 point harness. For added passenger safety and comfort we also installed the TURNKEY UTV adjustable passenger grab handle. Lastly, we proceeded to install the AXIA ALLOYS quick release fire extinguisher mount and a universal 2.5lb fire extinguisher. With the following safety add-ons installed we were confident to be able to face any adversities on the trails. Creature comforts were next on the agenda. EXTERME METAL PRODUCTS’S half windshield was installed; it is made from 1/4″ Thick MR-10 Lexan and looks great once installed. For added comforts from the elements, we installed a PRO ARMOR Aluminum Roof. This roof is made from .080” thick aluminum to ensure strength but yet still lightweight and gave the unit the added style we were looking for. In my opinion no UTV should be without doors. Besides the obvious fact that doors allow you to “enter and exit” the vehicle easily, they also provide more room in the cockpit area. We installed BLINGSTAR “suicide type” doors that are made from aircraft grade aluminum alloy material. These doors follow the Maverick contoured lines beautifully and drastically change the look of the unit. To provide superior comfort for the driver and passenger we installed a pair of PRP SEATS GT SE suspension seats. The PRP GT SE seat features larger seat belt slots to allow easy removal and installation of the seat belts and larger neck slot which allows for the seatbelts to be farther apart to keep the harness from rubbing on the occupant’s neck. These seats have the reputation to be some of the most comfortable seats on the market today. 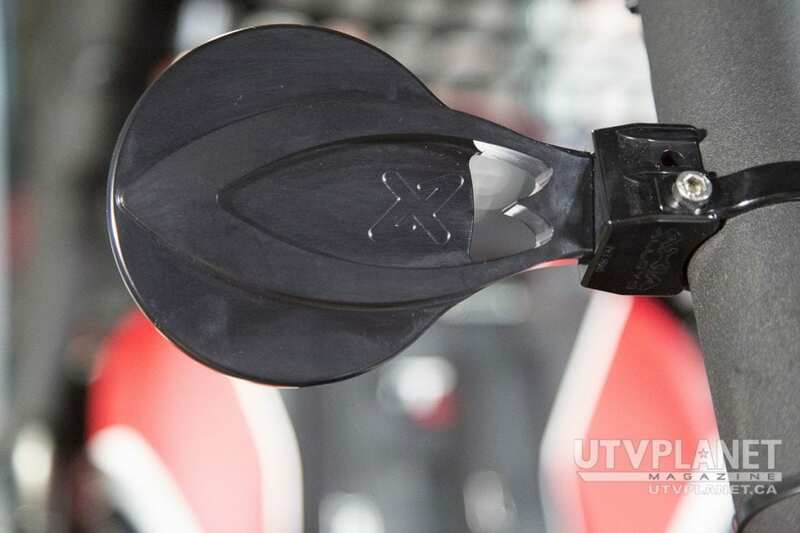 To complete the installation in and around the cockpit area, we installed 2 round Full Billet convex side mirrors from AXIA ALLOYS. We also installed a hydration pack from PRO ARMOR, the hydration bag mounts to the back of any seat, and offers the ability to carry 3 liters of fluid with you while out riding. Nothing beats the experience of trail riding at night, but it is important to “see and be seen”. 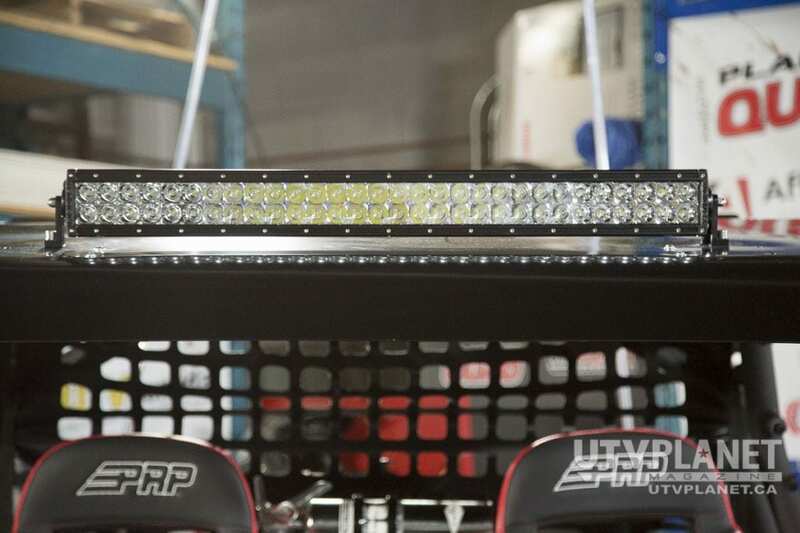 First up from RIGID INDUSTRIES, SR series 30” LED bar with Spot / Flood Combo was installed. The SR-Series light bar is designed to project light at extreme distances while consuming very little power. The light features a combination of both Spot and Flood versions of the Hybrid optics system and its durable extruded aluminum housing and virtually unbreakable polycarbonate lens are sealed against the elements. For that extra element of “be seen” we also installed a set of red QUICK LIGHT 6” fiber optic whips. 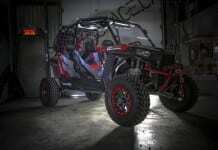 These whips look awesome once illuminated and added that element of “wild” to our build. No build would be complete without the perfect set of tires and rims. EFX PERFORMANCE TIRES provide us with a set of MotoClaw 30x10x4 8 ply tires. The MotoClaw comes standard with incredibly strong lugs, spaced precisely right to provide a smooth ride under the most intense terrain. The MotoClaw tires were mounted on a set of M20 KORE (flat black) 14” rims from MOTORSPORT ALLOYS. The M20 KORE comes standard in a new improved flat black automotive grade paint, which easily sheds dirt, mud and debris. The rims also come stock in a +0mm offset, which allows for better fit, performance and stance. 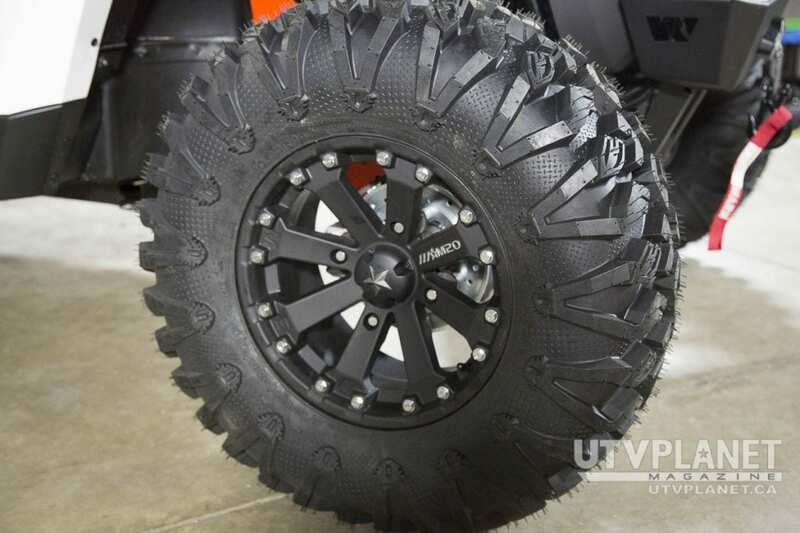 The combination of the MotoClaw tires and KORE M20 definitely contributed to the “HARDKORE” look of our build. With the installation of the add-ons now completed, we quickly loaded our Maverick into our trailer to drop it off at the team of AFFICHAGE.CA so they could commence the wrap installation. The guys over at affichage.ca are true professionals in the art of wrap design and installation. Watching these guys create and install the wrap was like watching an artist paint on a virgin canvas, totally mind-blowing! During the course of this article we briefly mentioned many after-market parts manufacturers and their respective products. We would like to thank all these partners for contributing to our build, without them this project would have been impossible. We invite you to visit their websites for more information on the products and services mentioned throughout this article. A very special thanks to CAN-AM for loaning us the Maverick X xc.